Ludovico Winter (1846-1912)(1), originally from Germany, was a landscape architect and friend and collaborator of Thomas Hanbury, with whom he worked to create Gardens named for his friend at Mortola, Ventimiglia, often seen by visitors to Liguria. 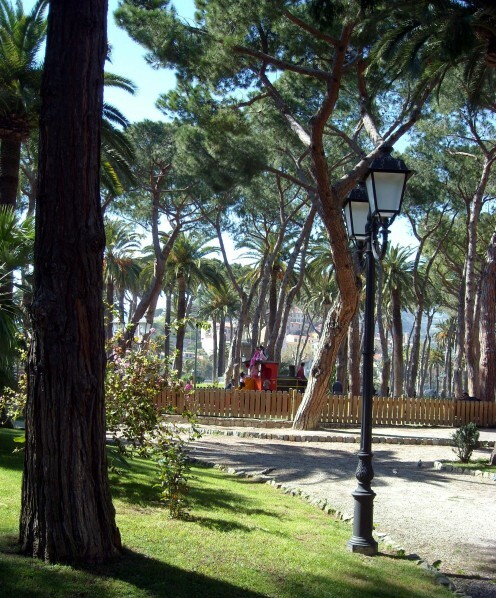 In 1906, as a result of a partnership with the Municipality of Ventimiglia, Ludovico Winter created Municipal Gardens (Italian: Giardino comunale)(2). Now over a century old, the arboricultural treasures of the Gardens have thus had the opportunity to become very mature. Especially striking features are both the size of the trees and the fact that many of them have been together: something which with age and growth has become increasingly apparent. This indeed serves only to intensify the sense of an urban forest (3). The interspersing of conifers and palm trees in the Gardens makes for an avowedly Mediterranean environment. The closeness of the Municipal Gardens to the Palazzo Comunale at Piazza della Libertà serves only to emphasize the public nature of the Gardens. 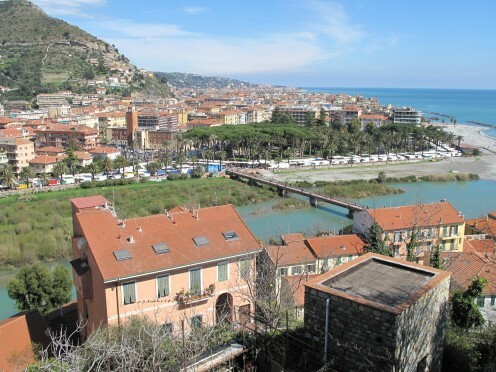 The Gardens indeed predate these current Municipal headquarters by several decades and have thus for a number of generations of citizens of Ventimiglia established themselves as a firm part of the urban environment. Within the Gardens, a Monument to the Fallen (Italian: Monumento ai caduti) by Pietro Canonica (1869-1959) (5) was unveiled in 1925 by Queen Margherita of Savoy (1851-1926) (6); this Monument has patriotic inscriptions by Angelo Silvio Novaro, a local, Ligurian poet. 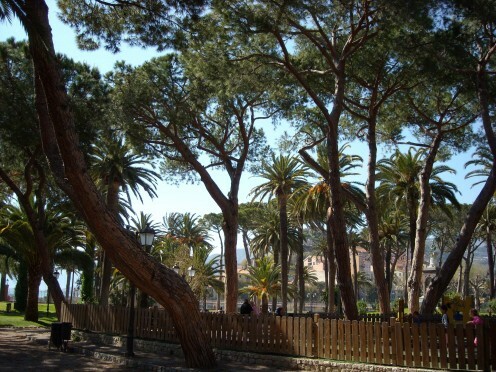 The Gardens thus form a sedate backdrop to Via Vittorio Veneto and Lungo Roia Rossi, important thoroughfares in this area of Downtown Ventimiglia. One can say that the juxtaposition of the Municipal Gardens with a busy part of Downtown Ventimiglia have long represented a study in contrast: sun and shade for more than a century. 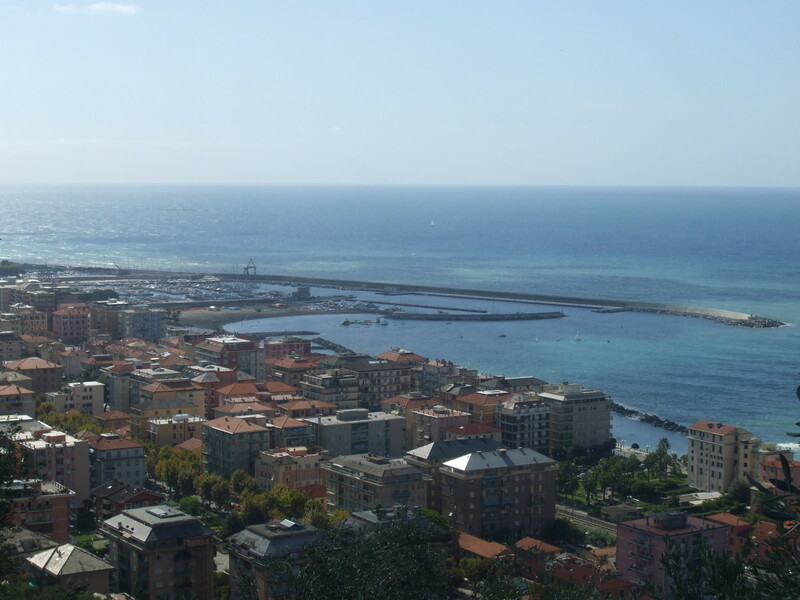 The City of Ventimiglia is situated in Imperia Province in Italy's Liguria Region. (1) Sometimes given as Ludwig; given the profusion of Winter's works in Italy, the Italian form of his given name is often seen. Winter notably worked at the Tuileries, Paris and at the residence of Empress Eugénie of France at Cap Martin. 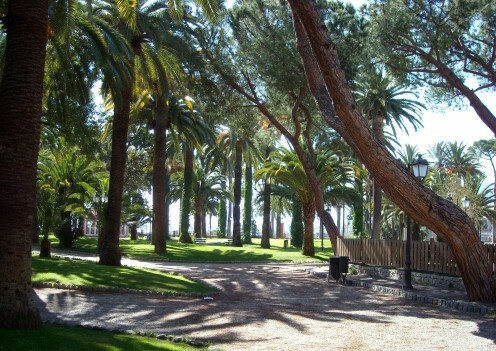 As well as for the Municipal Gardens at Ventimiglia and the Hanbury Gardens, in Italy Ludovico Winter is known for gardens in Imperia, Ascoli Piceno and two gardens in Bordighera. 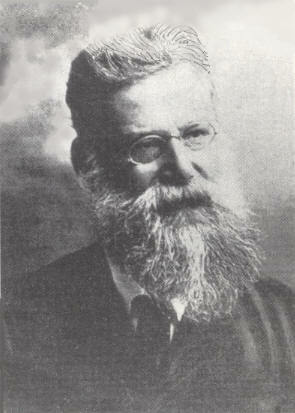 His son, Rodolfo Winter, became a prominent architect in the area, designing among others a Protestant church in Bordighera. (2) English usage seemingly favouring the plural, I have adopting this translation. In recent years, the name Tommaso Reggio, a 19th century Bishop of Ventimiglia (also concurrently titular Bishop of Tanis, Egypt) and subsequently Archbishop of Genoa, has been added to the name of the Gardens. (5) Senator Pietro Canonica was a prominent Italian sculptor and composer, who also took several high profile sculpture commissions outside his native Italy. (6) Queen Margherita of Savoy was Queen Consort of Italy 1878-1900, during the reign of her husband King Umberto I. 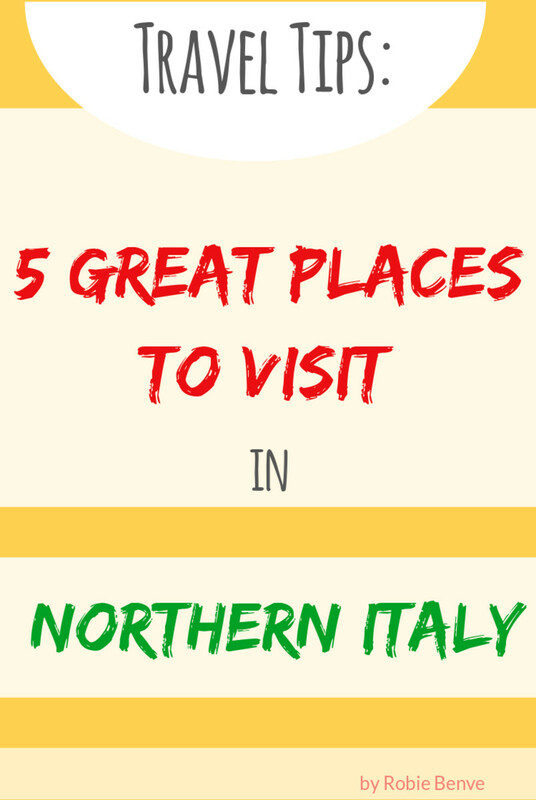 In Ventimiglia itself, which exists on two, distinct upper and lower levels, there are various church buildings of architectural note, including the Medieval Cathedral, and San Michele and Sant' Agostino churches. There are remains of Roman amphitheatre in the city. The Hanbury Gardens attract many visitors. 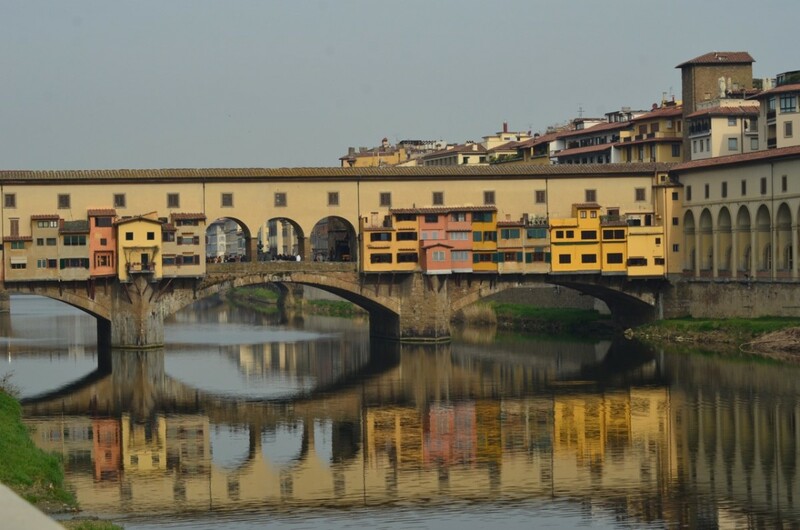 Balzi Rossi (distance: 8.2 kilometres), situated near the French border, contain caves of archeological interest. Menton, France (distance: 11 kilometres); among its treasures are outstanding ecclesiastical architecture and the Palais Carnolès, formerly belonging to the Princes of Monaco. 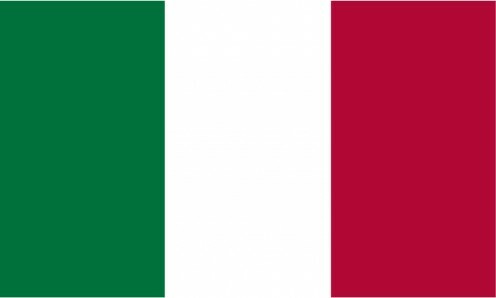 Alitalia flies to Genoa (Aeroporto di Genova); there are rail links from Genoa to Ventimiglia. 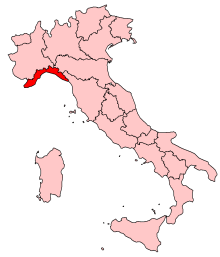 The nearest sizable international airport to Ventimiglia is Nice, France (Aéroport Nice Côte d'Azur). 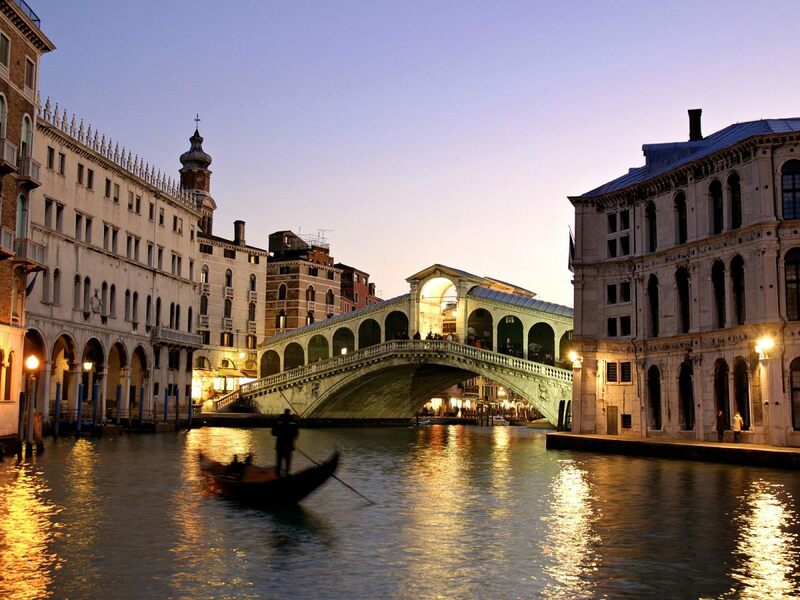 Delta Airlines flies direct from New York to Nice. The French railroad company SNCF serves stations between Nice and Ventimiglia (French: Vintimille). For up to date information, please check with the airline or your travel agent. Please refer to appropriate consular sources for any special border crossing arrangements which may apply to citizens of certain nationalities. 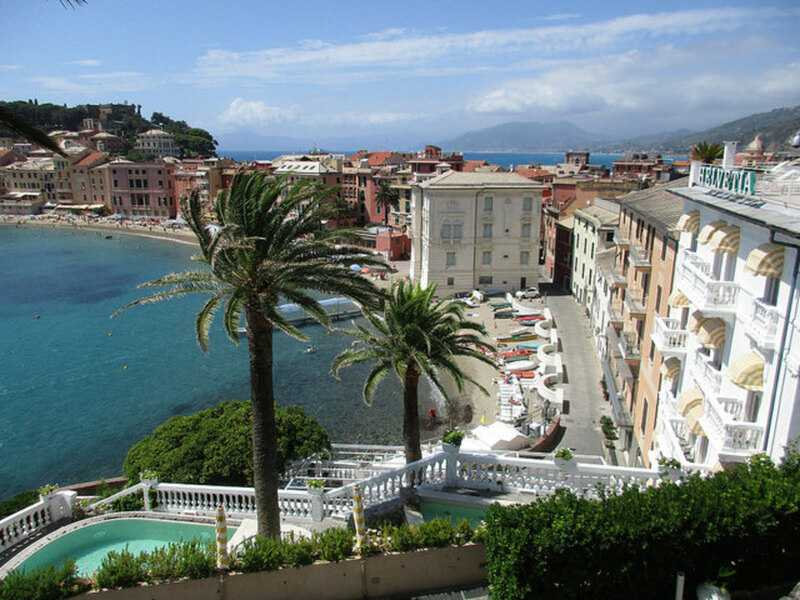 A Rough Guide to Liguria in Italy : Things to Do in Sestri Levante.